Jorge Ortega has spent his career building, developing and leading teams during his 20 plus years in the animal welfare field, and has been successful in a variety of positions in the industry. Jorge is currently the Animal Services Director for Guilford County Animal Services in Greensboro, NC. Most recently he held the position of Senior Director of Operations where he was responsible for overseeing the daily operations of the ASPCA’s Adoption Center, Kitten Nursery and Canine Annex Rehabilitation & Enrichment Center located in New York City. Jorge has also served as Vice President of Operations for two progressive animal welfare organizations. As VP of Operations he has been responsible for the day-to-day operations of multiple shelters and has provided leadership and guidance on managing low-cost, high-volume spay/neuter initiatives in local communities. He has been successful in building strategic partnerships and community programs that helped decrease animal intake. Jorge played an active role in the Charlotte, NC ASPCA Community Partnership in an effort to save more at-risk and homeless pets through collaboration between local animal welfare organizations. He has served on the boards of a number of organizations including the Texas Federation of Humane Societies, the North Carolina Animal Federation. 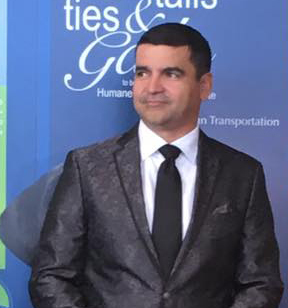 During his time on these boards, Jorge played a key role in the development of two successful regional conferences, Texas Unites for Animals Conference and Carolinas Unite Animal Welfare Professionals Conference.